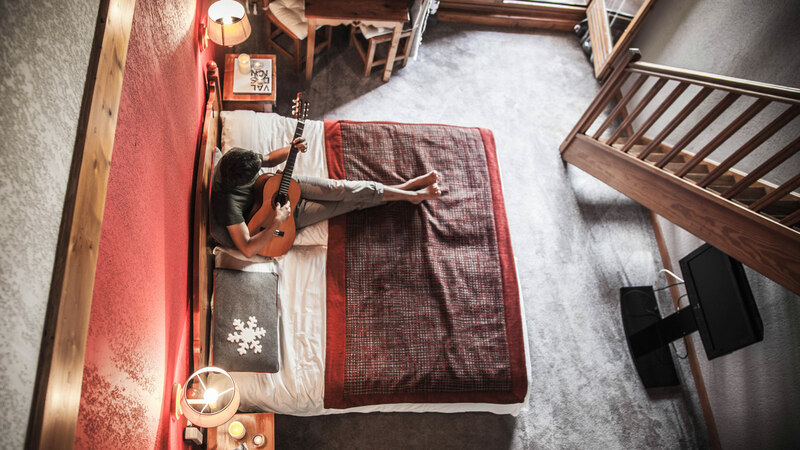 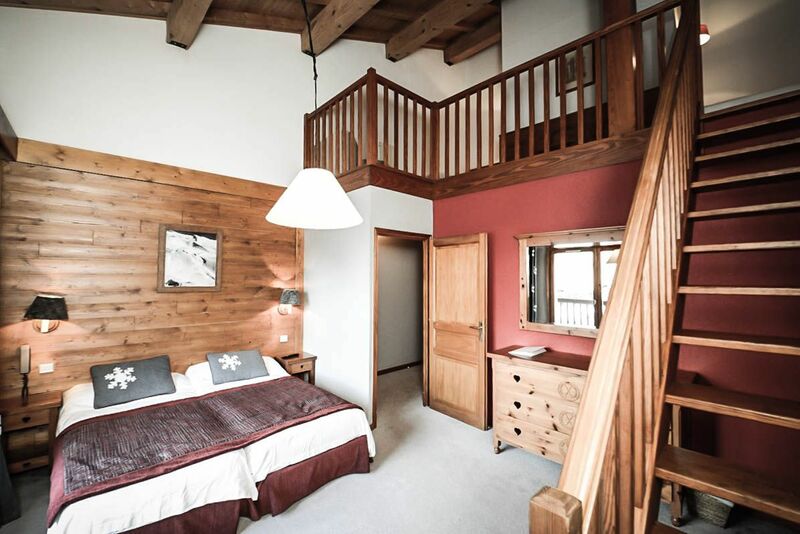 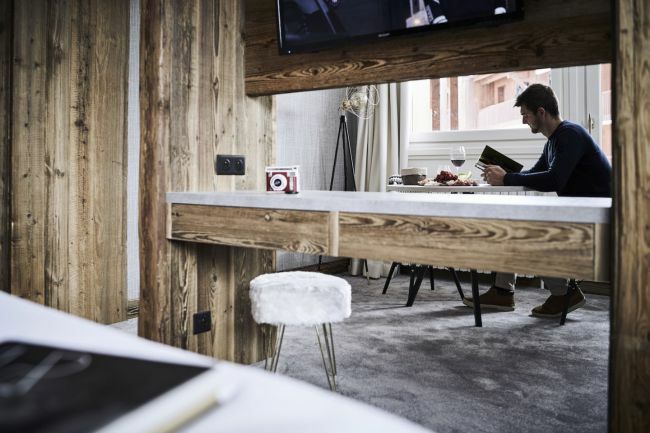 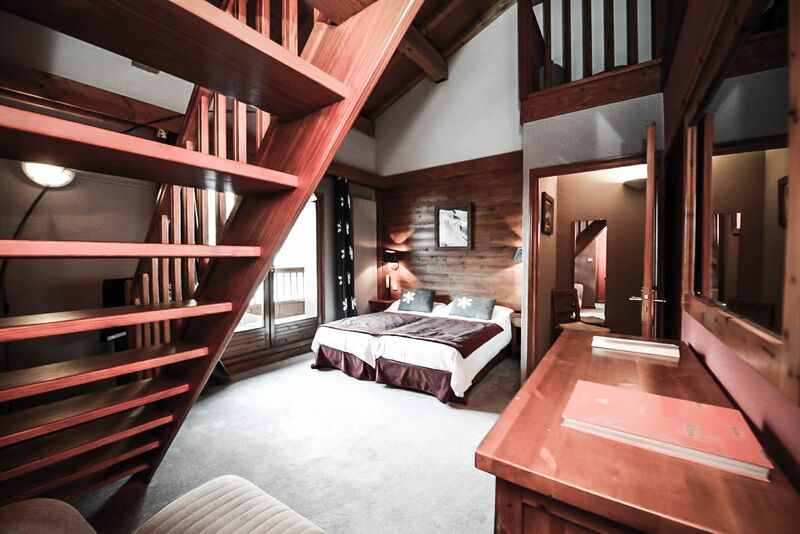 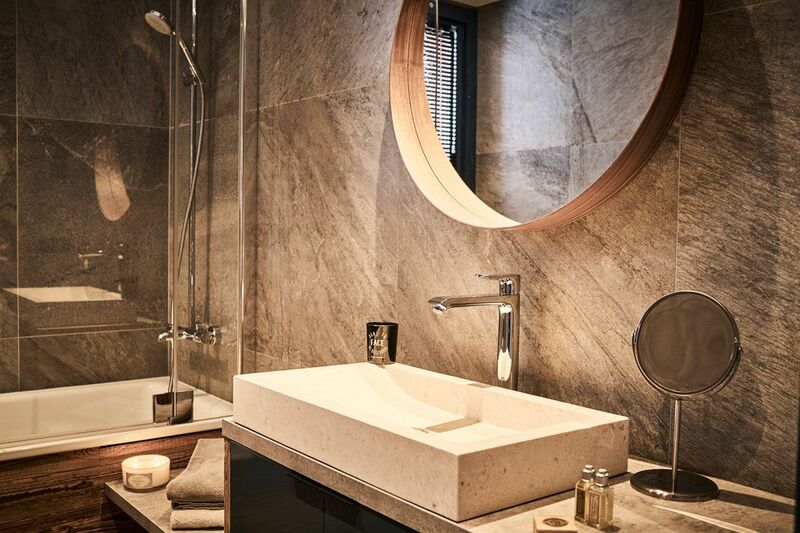 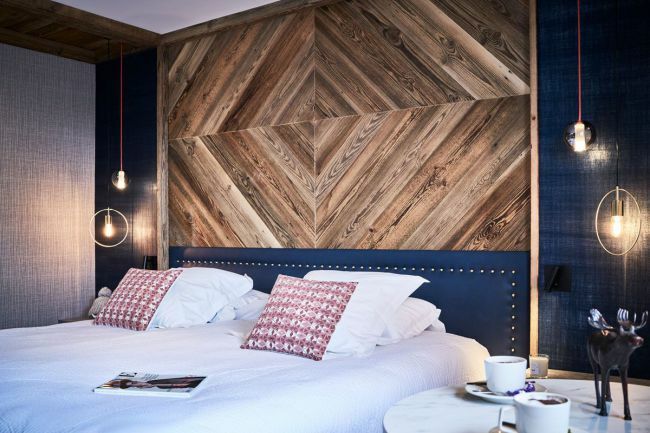 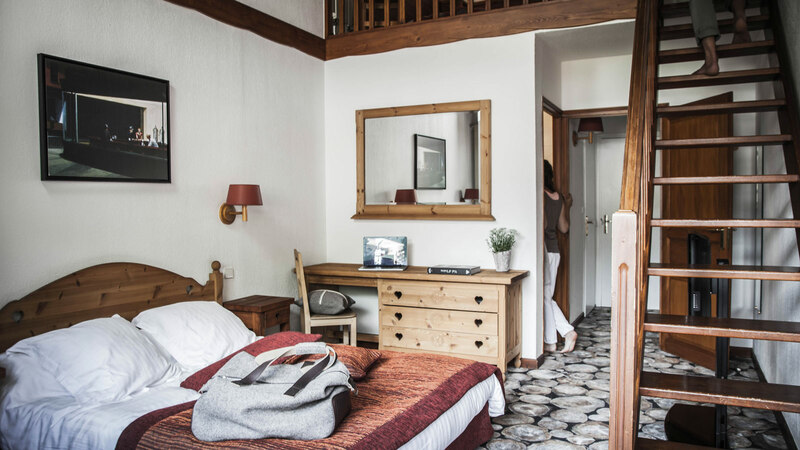 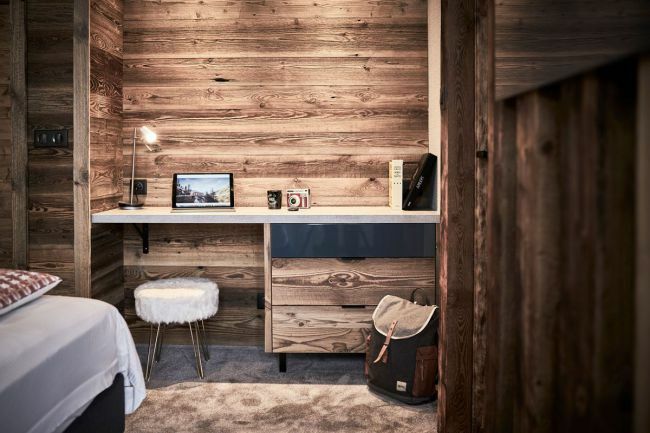 Spacious and comfortable rooms, mixing the sweetness of a Savoy style, light wood and natural couloured fabrics from Arpin the famous woolen mill soft. 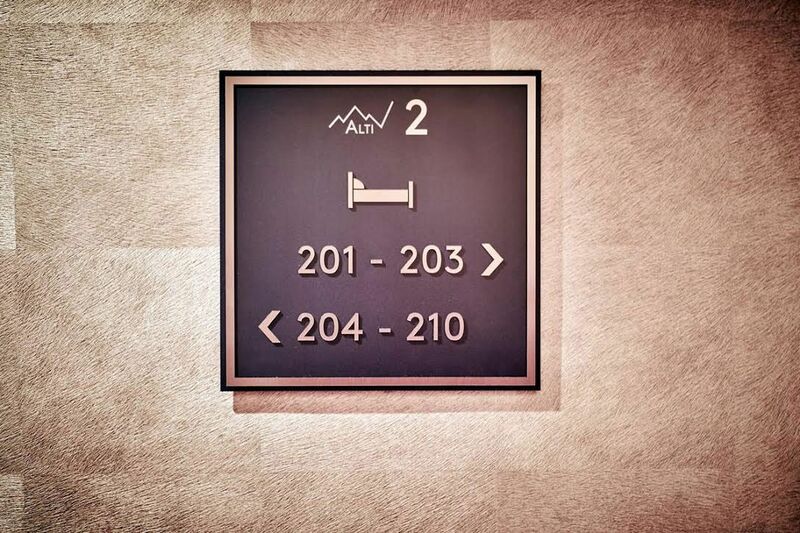 Designed for your comfort and well -being, our spacious rooms are the largest of the hotel. 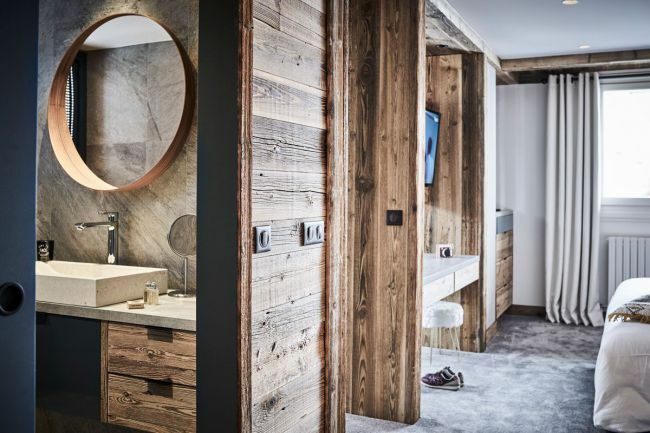 -The Largest hotel bedrooms (30 to 40 square meters). 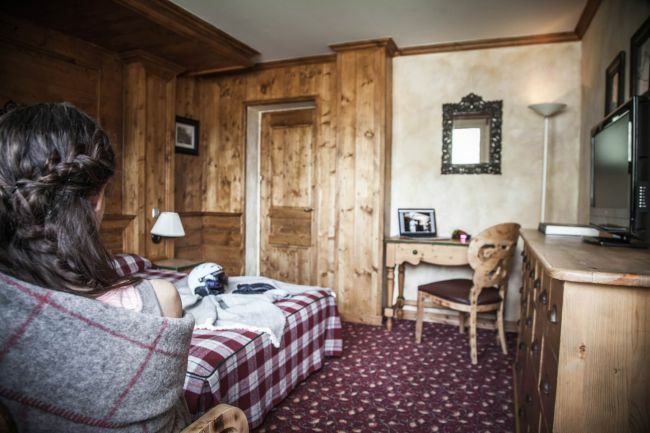 -4 Rooms of this type . 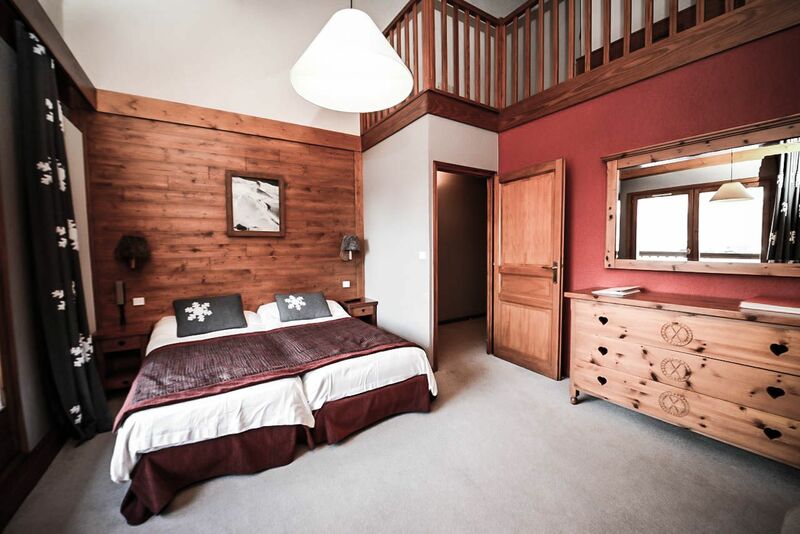 -Including a first room with a single bed and a master bedroom with a double bed. 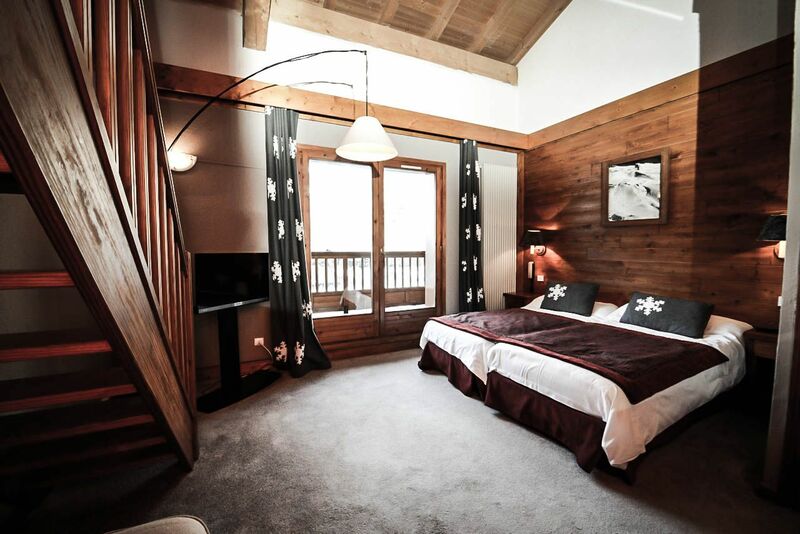 -For 1 to 3 persons. 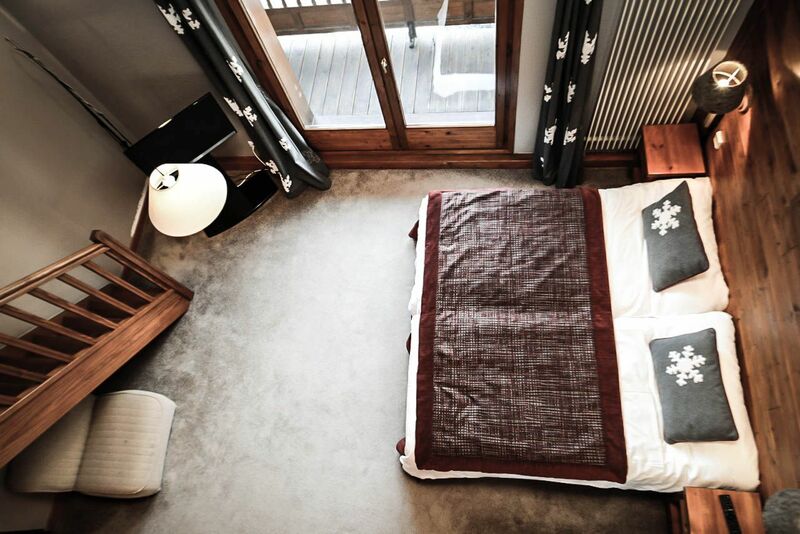 A 40 square meters duplex that can accommodate up to 5 people (a double bed in the lower part / 3 single beds in the upper part). 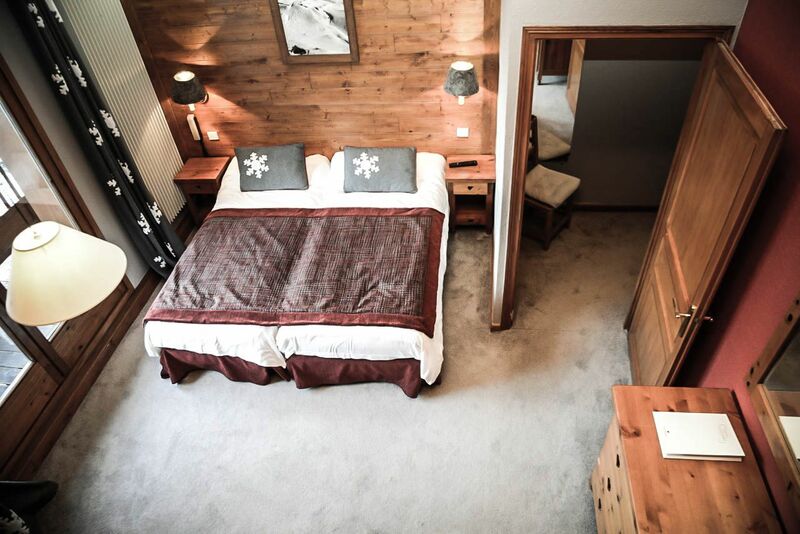 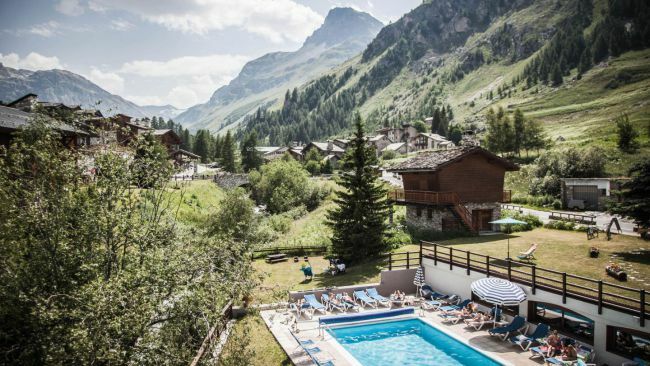 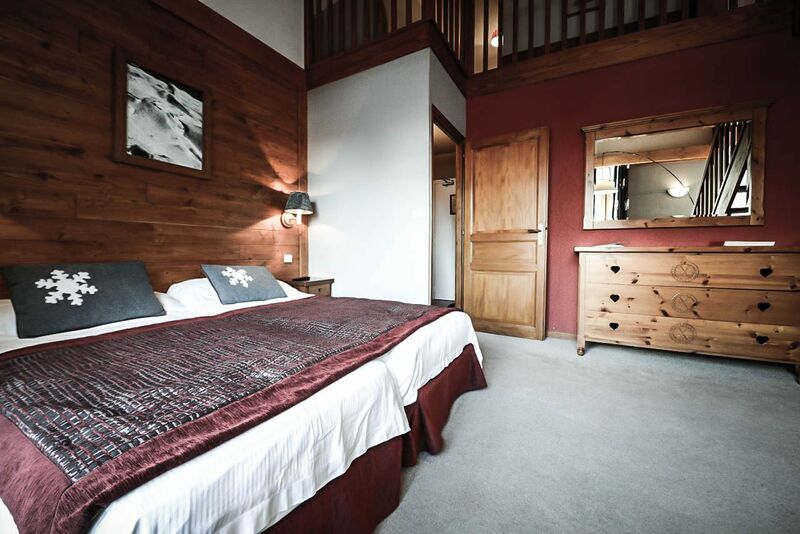 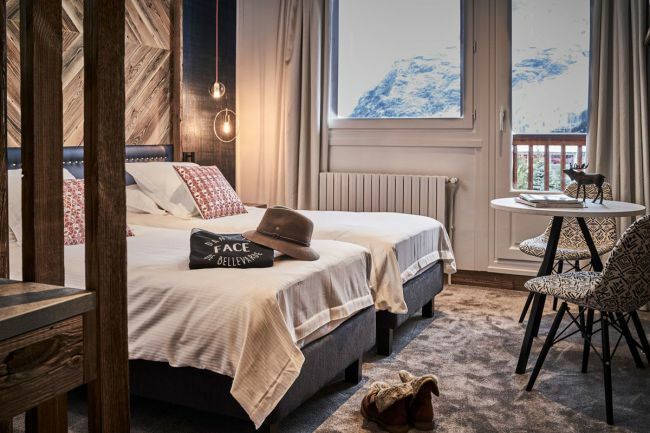 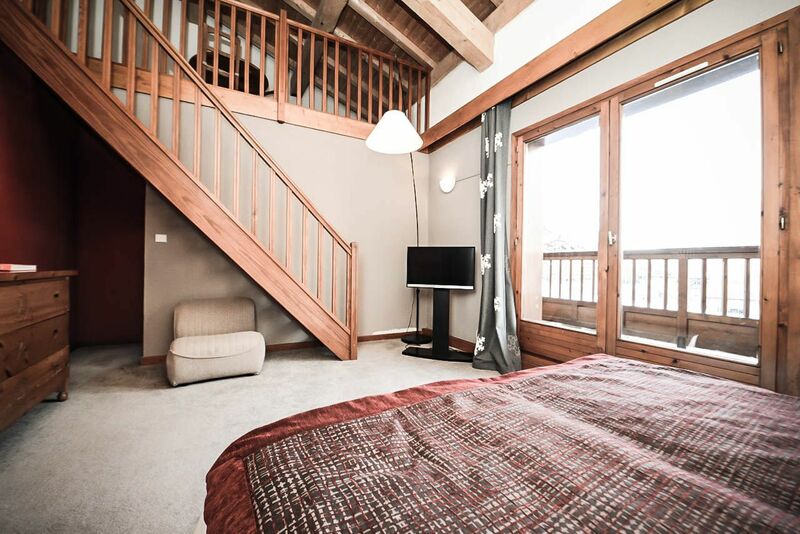 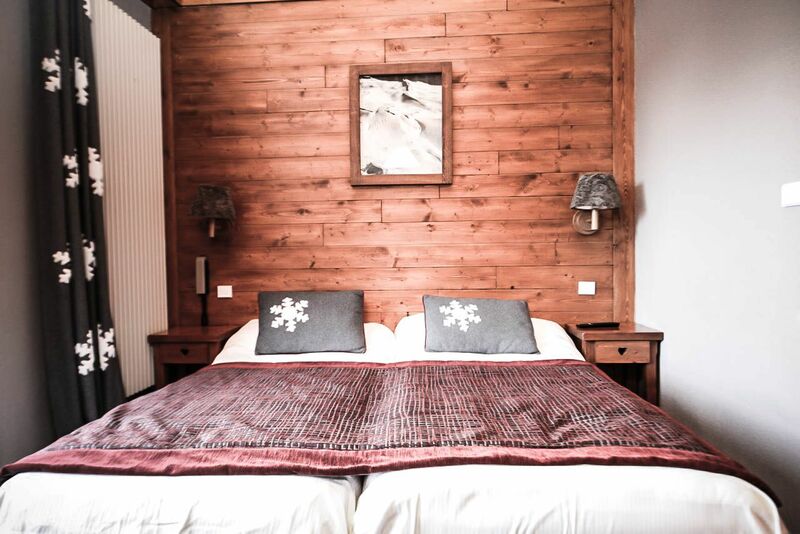 Suitable for families, the room 311 is on the third floor of our hotel and has stunning views over the village of Val d' Isere.